In a world where gender inequality in the workforce is national hot button issue, there is at least one profession that seems to be immune, says Marla Ahlgrimm. Physician remains a predominantly male title; nurses are almost entirely women. But, according to Marla Ahlgrimm, pharmacists are split down the middle. And, as the retired pharmacist explains, unlike other careers in medicine, there is not a huge pay gap between the sexes. Women pharmacists, on average, earn a salary of approximately $116,000 per year, slightly less than men. However, the slight gap is not a product of discrimination, but a reflection on hours worked. Marla Ahlgrimm explains that many mothers who happen to be pharmacists work fewer hours than their male counterparts. Marla Ahlgrimm reports that the advent of the chain drugstore has helped women achieve balance and at least this profession. 50 years ago, less than 10% of all pharmacist were women. By the mid-1980s, more than half pharmacy school graduates were female. One of the biggest draws toward a career in pharmaceuticals is schedule flexibility. 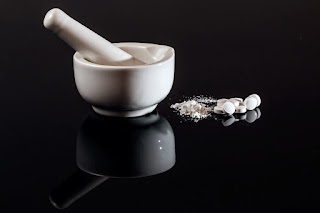 Another major selling point for earning a pharmacy degree is that it is a six year doctorate program where students can enter the workforce immediately. Ahlgrimm adds that return-on-investment is a huge benefit of pharmacy school, as well. A pharmacy school program averages around $90,000; with such a high starting salary, many students can expect to pay off their student debt in 10 years or less. Pharmacists continue to be in high demand, asserts Marla Ahlgrimm. The Department of Labor predicts a 25% increase in the number of needed pharmacists in the United States by the year 2020. That’s an additional 225,000 jobs. Marla Ahlgrimm closes by saying that a career in pharmaceuticals is rewarding and offers women the opportunity to do what comes natural: help other people. She enjoyed a nearly 40-year long career in the industry and continues to serve as a mentor to other young women in the field.